Vol. 11, no. 11 (Apr. 9, 1896)-v. 13, no. 31 (Aug. 25, 1898). 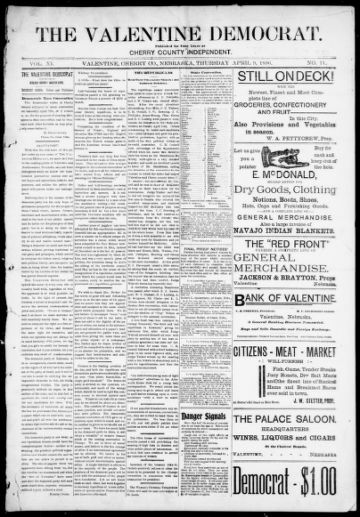 Merged with: Western news (Valentine, Neb. ), to form: Western news-Democrat.